BLACK HIGH SPEC RR SPORT FOR SALE, selling due to lack of use, as used on weekends only. Owned by a mechanic, therefore it's always looked after and serviced. 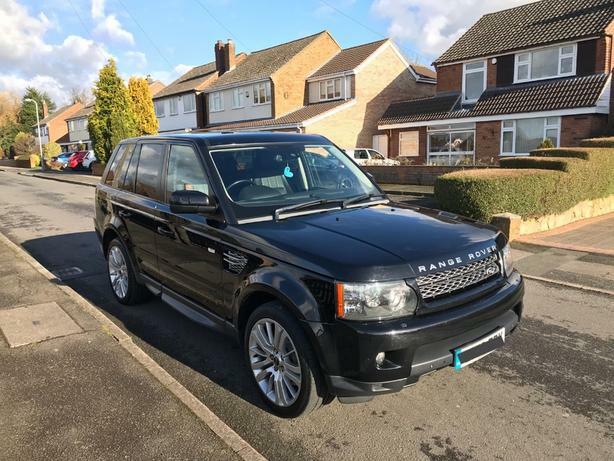 A well maintained vehicle with full LandRover history with all invoices to back stamps in service book, includes a year MOT, Comes with 2 Keys, all its manuals and booklets in a Landrover pouchBlack, 53,500 mileage. £19,000 OVNO. Please call Danyar on 07575424722 for further information. 20" ALLOY WHEELS, DUAL CLIMATE CONTROL, FRONT AND REAR PARKING SENSORS WITH REVERSE CAMERA, SAT NAV WITH TV, FULL HARMON KARDON SOUND SYSTEM, FULL HEATED LEATHER WITH CONTRAST STITCHING, USB AND AUX INPUT, DRIVERS MEMORY SEAT.